Happy New Year! We here at FishWater Outfitters hope that y’all have all had a great holiday season and are enjoying the new year. 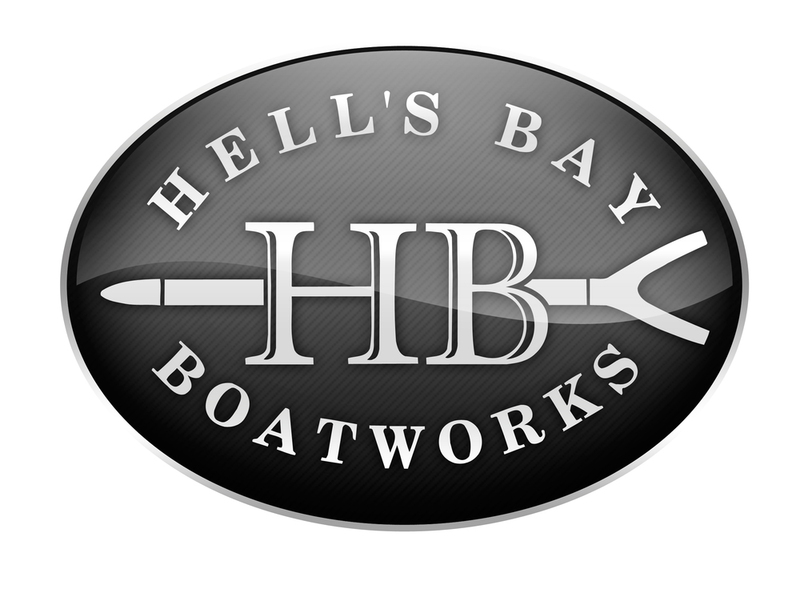 We have had a great winter here in Charleston, South Carolina so far and are really looking forward to whats in store for the new year. We have had pretty good weather so far and we have been out on the flats fly fishing for redfish as much as possible. 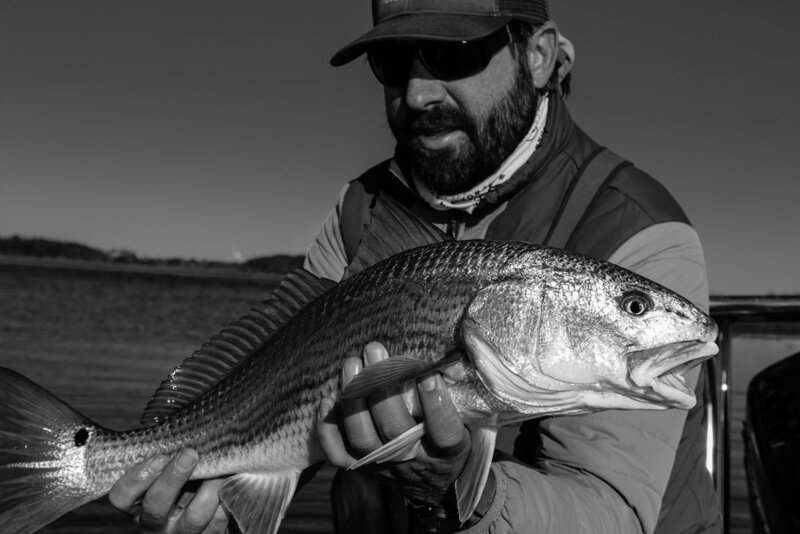 The fly fishing in Charleston, SC during the winter months can be phenomenal while all the fish are schooled up and pushing wakes along the flats and in the creeks. As usual we have been trying to target the redfish while fly fishing during the falling tide in the mornings. While fly fishing in Charleston during the winter time we are typically looking for a mid morning low tide. 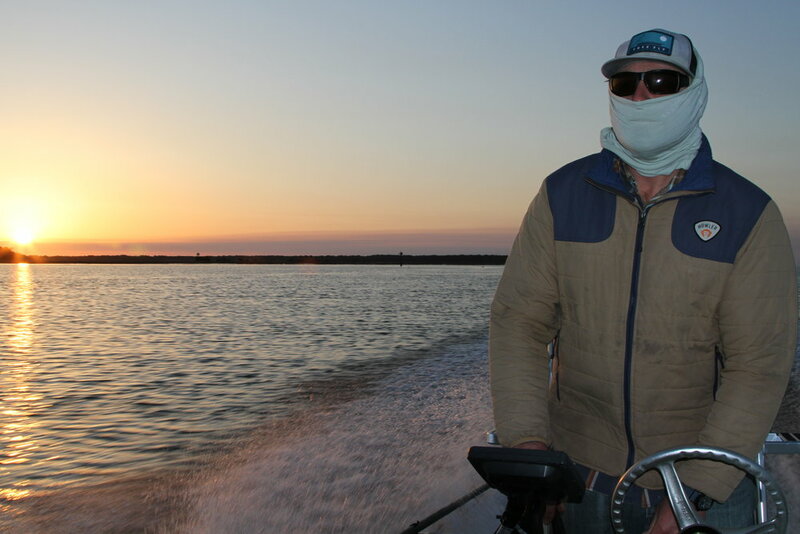 This allows us to get out in the morning when the winds are lower and find the redfish pushing wakes in search of bait. Once the tide comes back in and gets pretty high, it is much more difficult to locate the redfish and catch them fly fishing. 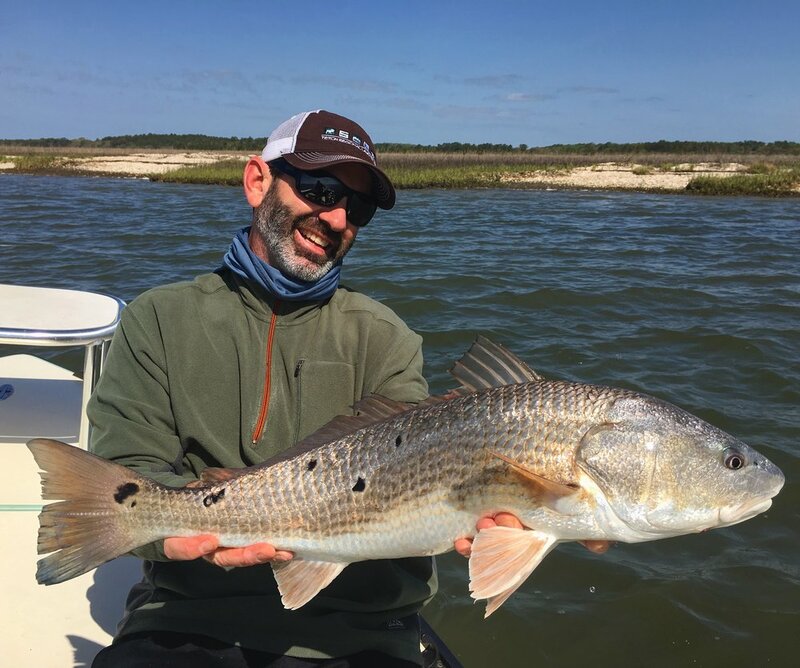 On most of our charters recently FishWater Outfitters Captain Braden Powell has been using darker colored flies including black clousers, olive clousers and black redfish toads. Even though the water surrounding Charleston, SC can be very clear during the winter months, these dark colored flies show up much better to the fish looking for small baitfish. 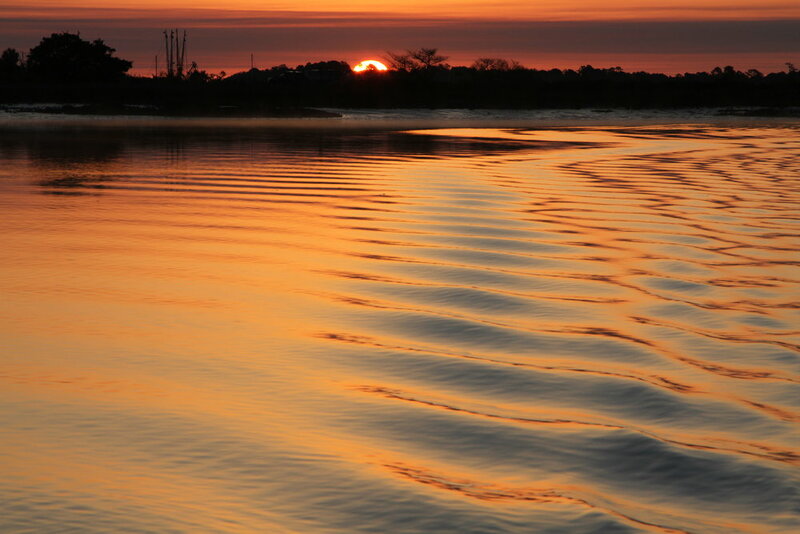 Recently, we have been running most of our charters on The Wando River and around the Folly Beach area. 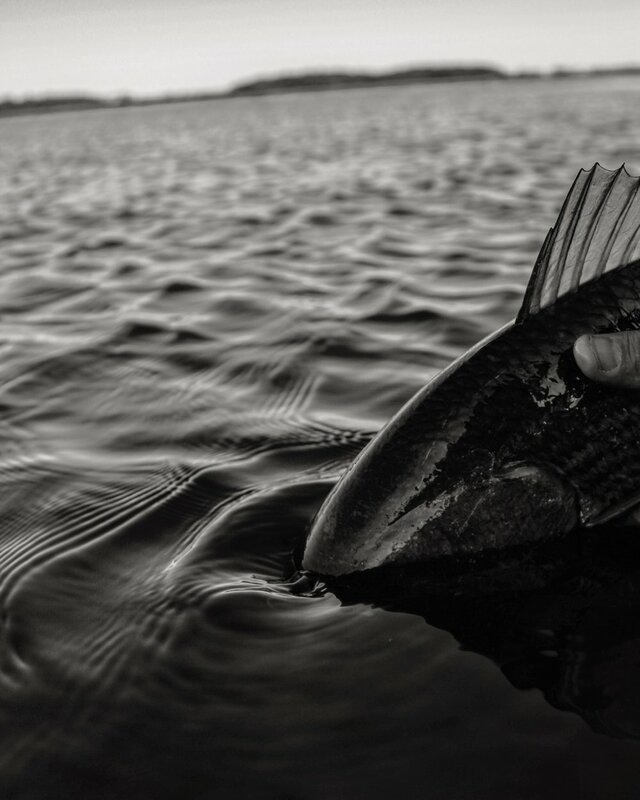 We really enjoy fishing the Wando River near Charleston Harbor in the winter because the water clarity is fantastic. It seems to stay cleaner longer than most of the other areas which provides us with great fly fishing opportunities. The Folly Beach area, especially the upper ends of the Folly River and The Kiawah River also offer up some really clean and clear water throughout the winter months. As we continue to go forward into February, we will still see the Redfish schooled up in large numbers. The fish mostly do this to protect themselves from their main predator, the bottlenose dolphin. Assuming they’re aren’t dolphins on the flat that you are trying to fish, it will be fairly easy to see the redfish. When they are in large numbers and schooled up, they tend to make pushes or wakes on the flats and edges. If you can’t see the actual fish, looking for pushes is your next best thing. Always try to determine which direction the fish are moving and get the fly out in front of the redfish and strip fairly slowly away from them so that you are imitating a baitfish fleeing. This will most often result in a strike from the redfish. Make sure to keep your fly rod tip down towards the water while using a strip strike until you feel the line come tight. Then it is ok to raise the rod tip and continue to fight the fish. We still have some available dates for great winter time low tides open and also dates open for spring time so be sure and contact Captain Braden Powell and FishWater Outfitters today! Also don’t forget that summertime is right around the corner and our dates for fly fishing in Ennis, MT on The Madison River are filling up fast. 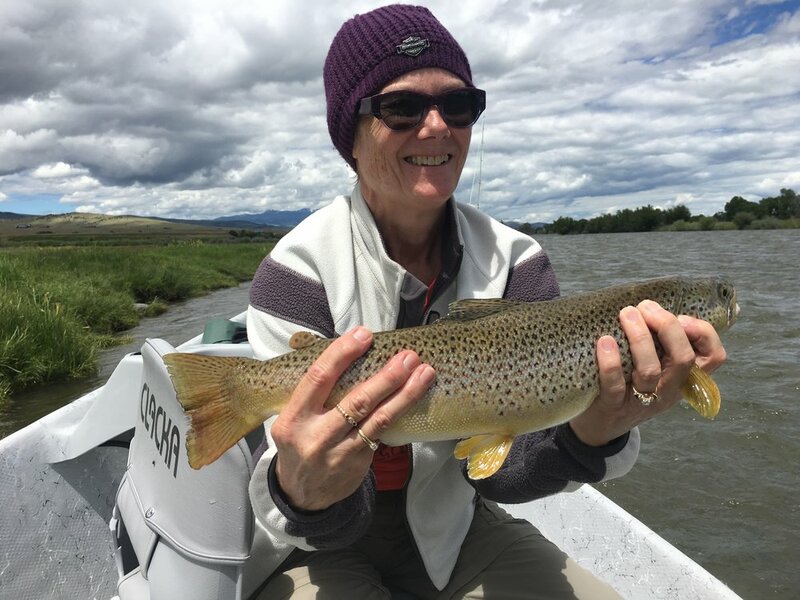 If you are interested in fly fishing the Madison River this upcoming summer click below to schedule a day in Ennis, MT. Here at FishWater Outfitters, we have had a great June and the beginning of July on The Madison RIver! We had a great snowpack and plenty of rain in the spring and in June with cooler temperatures allowing for the river to stay fairly high and providing us with a good salmonfly hatch. We still continue to have good water levels and temperatures throughout the day. Fishing has been good with every technique from dry fly fishing to streamer fishing. FishWater Outfitters had great success throughout the middle of June on many different patterns but especially on girdle bugs as the big stoneflies were crawling their way to the banks to get ready for the big hatch! At times, our guides would have 4 girdle bugs on at a time and the fish were chewing them up! Tight lining two size 4 girdle bugs very close to the banks as the water was very high produced some very nice Madison River trout. We also had a lot of caddis around during the time before the salmonfly hatch, and the prince nymph among other caddis imitations worked very well. Once the water dropped a little bit and cleared up, the big bugs started to hatch and the big fish started to eat big dry flies! This is one of the best hatches of the year on The Madison River and its a chance to see some big fish come up to eat the dry fly. We at FishWater Outfitters enjoy nothing more than throwing dry flies all day, whether large or small flies. Thankfully, the Madison River salmonfly hatch moved slowly up river and some cold days and nights helped to create spot hatches well below the main hatch. This allowed us to fish multiple different stretches of the river and still being covered up in big bugs. There are tons of different patterns to choose from and most of the time, if the fly is in the right spot, the fish will come up and eat it. A couple of our favorite flies include the Fluttering Stone and the Salmonfly Hedgehog. Both of these are pretty old school patterns mostly comprised of hackles and elk/deer hair. Our salmonfly hatch on The Madison River usually starts mid to late June and can last anywhere from a week to multiple weeks fishing different stonefly patterns. Contact us at FishWater Outfitters to book your salmonfly fishing for 2019! Now that we are starting to transfer from the big bugs to smaller dries, we are still finding plenty of good fish throughout the entire river. Thankfully, we still have plenty of water and it seems as though that should continue throughout the summer. We are seeing a lot of caddis, yellow sallies and various different mayflies hatching throughout the day. Some of our favorite patterns for post salmonfly include Royal PMX, Royal Trude, Para Wulff, Purple Haze and various different colors of Chubby Chernobyls. As the water has dropped plenty the middle of the Madison River is starting to fish very well. The banks get hit so hard during the early season that it is very nice to find the fish moving out into the middle river and eating dry flies. We are very excited that Hebgen Dam has finally been fixed and we will have bottom release water on the Madison River throughout the summer! This will provide us with colder water as the air temperatures remain high throughout July and August. Hopefully, we will also continue to see many hatches throughout the summer instead of all our bugs hatching at once. 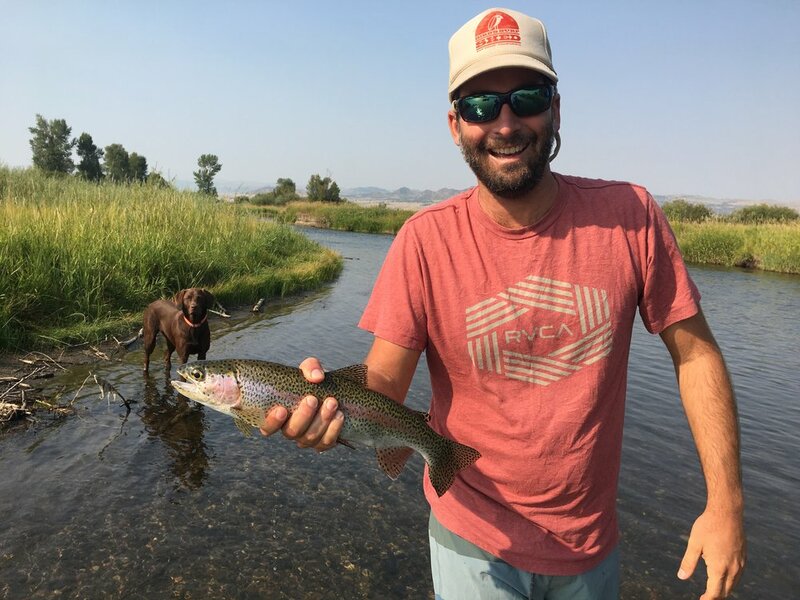 If you're interested in fly fishing the Madison River with FishWater Outfitters this summer, please give us a call or email and we will be sure to set you up with a great guide! Also, if you are planning any winter travel plans, keep in mind that we are located in beautiful Charleston, SC from October to June and the lowcountry marsh is a great place to spend a day looking for Redfish! Call or click now to book your Montana or South Carolina fly fishing vacation with FishWater Outfitters!! Well, THANKFULLY, the Madison River proposed regulations on Outfitters will not make it to a public comment period! Four of the MT FWP commissioners voted against the possible regulations yesterday in Helena after hearing from multiple Outfitters and reviewing the information that FWP had. Montana Fish, Wildlife and Parks has not yet released any input on this decision and I'm not surprised. I don't think that the three individuals who came up with this plan are too happy with the results from yesterdays meeting. However, The Bozeman Daily Chronicle did write an informative article on the subject and hopefully we will hear more in the near future. As I stated in a previous post, I was not and still am not in favor of most of the regulations in the proposed plan. The total commercial use from licensed Madison River Outfitters and Special Recreation Permit holders comprises of 13%-17% of total use. For the FWP to reduce the amount of commercial use so drastically doesn't make any sense at all. Yes, I agree that the river is seeing more use than in the past and yes, that is probably still going to increase in the future. However, there has got to be a better way to go about this than to restrict the sections or river that I as an Ennis, MT Fly Fishing Outfitter am allowed to float on any given day. Those proposed regulations would only increase the amount of crowding on the river. We only have 38 river miles on the Upper Madison River and to close off one of those sections would greatly increase the amount of commercial traffic on the other stretches. I understand that this plan may or may not have worked on the Big Hole River, but there is over 100 river miles to float over there so the amount of pressure can be alleviated. Also, to think that MT FWP wanted to close off two entire stretches of river to all vessels is not Montana at all. One of, if not the best thing about Montana is our public access laws. If you don't allow a vessel to float through a navigable waterway, such as The Madison River, then that goes against our public rights. Those two stretches of river are large enough and have enough river where a boat that floats through can access a lot of water that someone only on foot cannot. So therefore, there is plenty of options for wade only anglers to still find water to fish and not be crowded out by commercial boats. We at FishWater Outfitters, often float the Ennis to the Lake stretch and I usually don't even stop around the Valley Garden access point. There are always people wade fishing in the general area near the access site so I continue to go further down the river where the wade fisherman doesn't want to go. This way I am not interfering with wade fisherman at all and I still have tons of great river to fish. I do agree that The Madison River is getting more and more popular and the use is increasing, but to put all the blame on Outfitters and not even recognize that the majority of the use is from the public is absurd. I do understand that in the future something might need to be implemented but I think that FWP still needs to sit down and come up with a plan that actually helps the future of the river and continues to realize just how important the fishery is to South West Montana. Not sure when they will come back with another plan but I am interested to hear it and hopefully it will be better for everyone. It seems as though Spring is actually here in Charleston, SC. The weather is starting to become more stable and our day time temperatures are in the mid 70's. The water has also warmed up quite a bit, averaging temperatures in the mid 60's. Unfortunately, the wind is still cranking almost daily but if you're able to get out early for the sunrise fishing it has been really nice. Captain Braden Powell has had the pleasure of taking out some first time fly fishers recently and he had a lot of wind but was able to find some happy fish. Ned Taylor and his father were visiting from Boston, MA this past week and called FishWater Outfitters for an early morning fly fishing trip. It was a high tide at about 7:45 am so we met at the boat ramp at 7 to get a start on the day. Thankfully, it was a beautiful morning with minimal winds but tons of gnats! Always a good idea this time of year to wear long pants and long sleeves for fishing charters as the gnats will chew you up otherwise. Once we were at our first flat, the tide was still coming in and the Redfish were following the water up into the grass. We were really hoping to see some tailing fish, but due to water temperatures and lack of bait, the Redfish aren't tailing yet. I would imagine that within the coming weeks, the water will continue to warm up and plenty of bait will return to the marsh and the fish will begin tailing. After seeing a handful of fish floating just below the surface and getting some really good opportunities and casts at those fish, only for them to swim under the fly and not eat, Captain Braden Powell decided to move to another flat. After we ran up the Wando River about fifteen minutes or so, we came to another great flat were the water was still high but had started to fall. Its always best to fish while the tide is moving, whether flooding or ebbing. The fish are always more active when there is tidal current pushing bait around for them to eat. We were happy to see more Redfish floating around in the top of the water column, easily showing themselves for a properly presented fly or lure. Thankfully, the cast was great and Ned Taylor was hooked up to his first ever Redfish! The fish fought hard and took a handful of nice runs to add to the excitement. After taking a couple quick pictures, Captain Braden Powell released the fish back into the water to let him be caught another day. All of our Captains and Guides at FishWater Outfitters practice catch and release and try to handle the fish that we catch with the utmost respect and care to ensure they swim away healthy. We think that it is very important to practice ethical techniques for catching and releasing these fish. We all want the fish population to be as healthy and strong as possible for future fishing! Although we at FishWater Outfitters are still here in the Lowcountry of Charleston, SC, we have been paying very close attention to all the snow thats been piling up in South West Montana. We couldn't be happier with the amount of moisture that is in the mountains now and that will continue to come down throughout the spring. Check out this link below for a in-depth look at the snow pack levels for all of SW MT, but especially for the Madison River drainage. This is a great site to check back on as we move closer to summer! It's always a good thing to have plenty of snow throughout the winter and then also plenty of rain in the spring and early summer. The more snow and rain equates directly to the amount of cold water we will have throughout the entire summer. That being said, we are also happy to announce that Hebgen Dam has been fixed and we will hopefully be getting water off the bottom of the reservoir instead of the top. This will help to keep The Madison River water temperatures lower during the heat of the summer. Trout love cold water and with that cold water, we will hopefully begin to see our hatches last longer and continue throughout the summer. Ideally, within a few years the Madison River will be back to its old self producing lots of good dry fly fishing again. Just a heads up for all the anglers who enjoy exploring and fishing in Yellowstone National Park, they recently released a statement which bans all felt soled wading boots in the park. Look at the link below to read about Aquatic Invasive Species (AIS) and how you can help to stop the transfer of them from rivers to lakes. Our summer season is booking up quickly so if you haven't already contacted us about your Madison River Fly Fishing trip then do so now by using the link below. If you live in the SouthEast or are planning a trip to beautiful Charleston, SC then don't forget to give us a call to book an Inshore Fly Fishing or Light tackle charter. 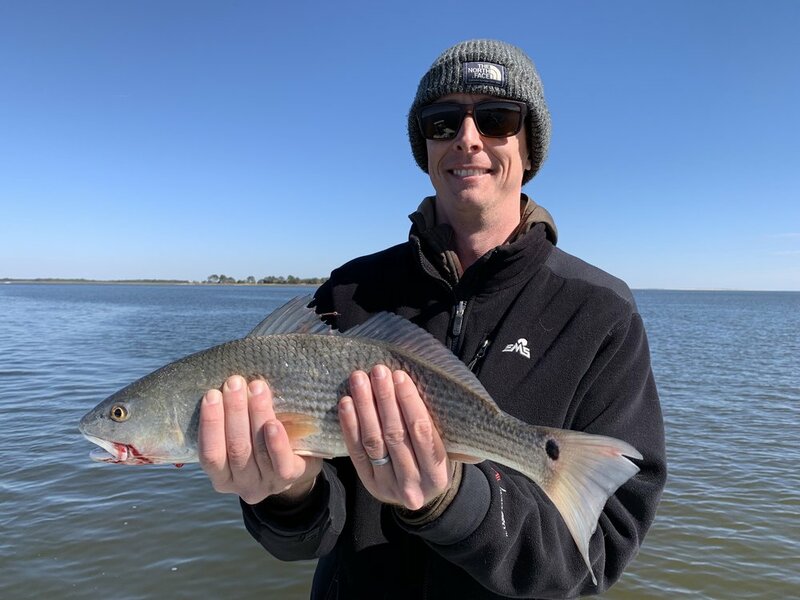 We offer 1/2, 3/4 and full day charters for anyone from the seasoned fly fisher to the beginner angler who just wants to see the waterways throughout Charleston and catch a Redfish! Book a Folly Beach, SC fishing charter trip with FishWater Outfitters for an incredible day on the water. There are a ton of opportunities for every angler! The Madison River has continued to fish well throughout the month of August. Here in Ennis, MT we typically have day time temperatures in the mid to upper 80's. This past month we have seen slightly lower than normal temps with many days only reaching the mid 70's. These temperatures have greatly helped the river and the fly fishing in general. Thankfully, due to cooler nights, the Madison River temperatures haven't reached over 70 degrees recently. This is keeping the trout much more active throughout the day. 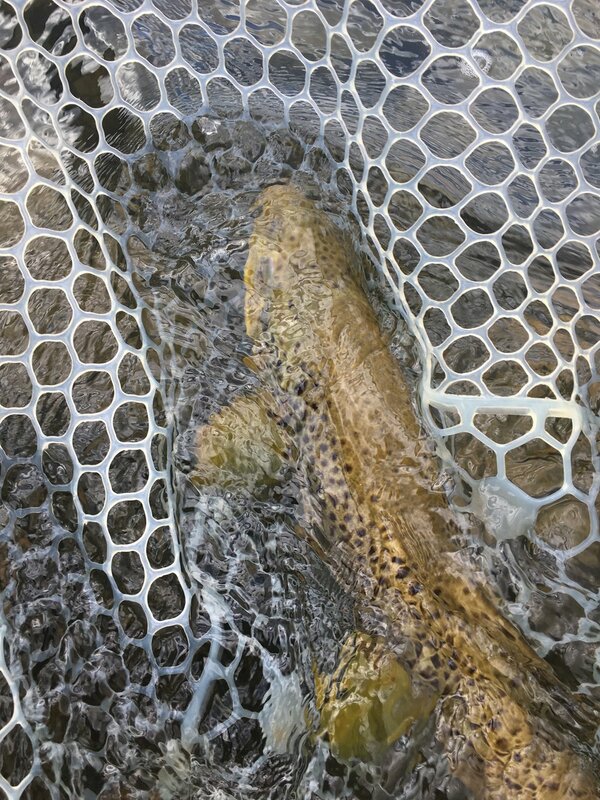 Here’s our Madison River trout fishing report for late August. Fishing the Madison River has been great so far this summer! Read our fishing report for July and call to book a guided fishing trip with us today! FishWater Outfitters has had some great fishing this summer on The Madison River! Here's our Madison River fishing report for July 2017. Join our next trip!